Posted on December 21, 2016 at 10:54 am. Sadly, my uncle recently passed away; whilst organising his possessions, I uncovered a commemoration to a fallen soldier of WW1 ….. Serjeant Albert McLean. Who was he? The name appeared to hold no familial connection, there had never been any discussion of either this person, name or even events as far as I could recall. I have a personal interest in the Great War; as a History Teacher, I have studied related issues, teach students about how the conflict unfolded, trench warfare, key battles and life on the Home Front. I have taken trips to France and Belgium, enabling students to broaden their understanding of the war, visiting museums, memorials and battlefields. 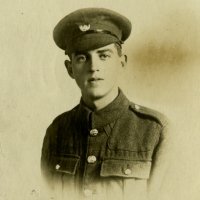 The First World War is a period of great personal interest, but until uncovering Albert, I had no idea how the event actually had any individual connection – for me and my family, as far as we were concerned, our forefathers had all been coal miners, relatively untouched by the conflict. 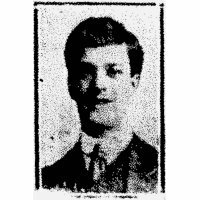 I began trying to put together a picture of Serjeant Albert McLean 37755 and discovered he had fallen in France, killed in action on the 25th April 1918; he had enlisted in Wath-upon-Dearne and so, as my family has strong links with this area, I embarked on piecing together Albert’s background with my objective being to identify any family connection. With invaluable support and guidance from Lynsey at the Doncaster Museum’s Service and also from my Father-in-Law, it was discovered that Albert was likely to be my Grandfather’s Uncle, my Great-Great Uncle. Research also identified Albert’s Military Service Record, highlighting service in Karachi and regimental records suggested he fell at Kemmel, Flanders. Confirmation of Albert being a family relative resulted in a visit to Ypres, a place I have visited numerous times before; however, this visit had an additional dimension as now I was paying my respects to “one of my own.” Albert is commemorated on the Tyne Cot Memorial Wall (P. 108) … I had been to the exact location several times before to point out to students the fallen KOYLIs and never noticed Serjeant Albert McLean. Now it was different, as was attending the Last Post at the Menin Gate. I then visited Kemmelberg, the likely place where Albert fell and a first but not last visit to this area of Ypres; all very emotive. I would be most grateful if any further information could be provided, any additional family or regimental connections passed on. 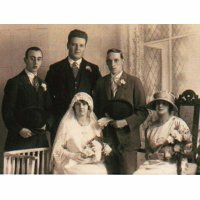 Hi David I’m the granddaughter of Hilda Maclean , younger sister of Albert . Did u know his younger brother Harry was also killed in ww1 in 1916 .